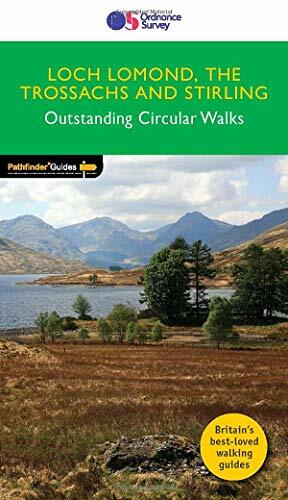 The walks in this guide introduce the many facets of the Southern Highlands and range from easy loch-side strolls to strenuous expeditions onto some of the area's highest mountains. Walking in Scotland is quite different from walking south of the border. In England there are only eight summits that top 3000 ft, while in Scotland there are 277, with 45 of them situated in the Southern Highlands. Walks taking in the mountains of the National Park include Beinn Dubh, Ben Vorlich, The Cobbler, Ben Ledi, Ben Lomond and Ben Venue. The Trossachs are particularly spectacular when clothed in autumn colours and provided the setting for The Lady of the Lake and Rob Roy, by Sir Walter Scott. The Ochil Hills, Loch Lomond and the West Highland Way are also included, and there is an opportunity to see Stirling and the Wallace monument, overlooking the scene of the Scottish patriot's victory over Edward I.
Dennis Kelsall is an expert outdoor writer and regular Pathfinder author with a deep knowledge of the British countryside.